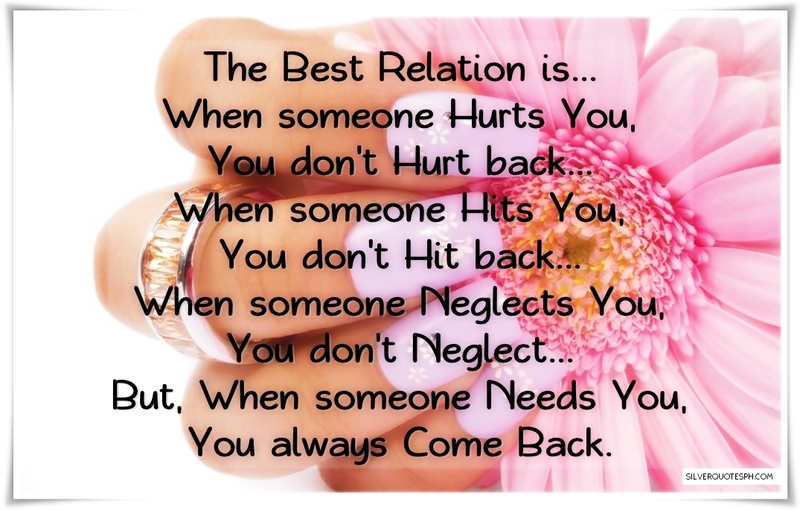 The Best Relation is... When someone Hurts You, You don't Hurt back... When someone Hits You, You don't Hit back... When someone Neglects You, You don't Neglect... But, When someone Needs You, You always Come Back.